Zanesville, OH – Columbus Press has released The Husband, a new novel by Aaron Daniel Behr, to all major markets. This raw, redemptive memoir will reshape the discussion of the victims of divorce and mental illness. According to Behr, he wrote the book following his wife’s adultery and subsequent demand for a divorce, and his journey to reconcile with God through those hardships, including hospitalization in a mental health facility. “I was called by God to start a conversation about mental illness, divorce, and suicide,” Behr said. Statistically, men are far more likely to commit suicide following a divorce than are women. 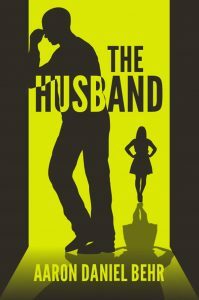 The Husband is available from all major markets, including Amazon.com, BarnesandNoble.com, Sony-Kobo, and iTunes, among others. Interested readers should request a copy at their local bookstore. Learn more and find links to reviewers and retailers at the author’s website, www.AaronDanielBehr.com. Aaron Behr is a native of Mount Vernon, Ohio, and a graduate of Mount Vernon Nazarene University. For more information, contact Columbus Press: 614-805-3982, or by email at info@columbuspressbooks.com. The author may be directly contacted by email at aaronbehr@columbuspressbooks.com.